MENS LEATHER JACKETS ON SALE! LAST ONE SIZE 36" CHEST! Retro style Black Leather jackets for men at a bargain price! 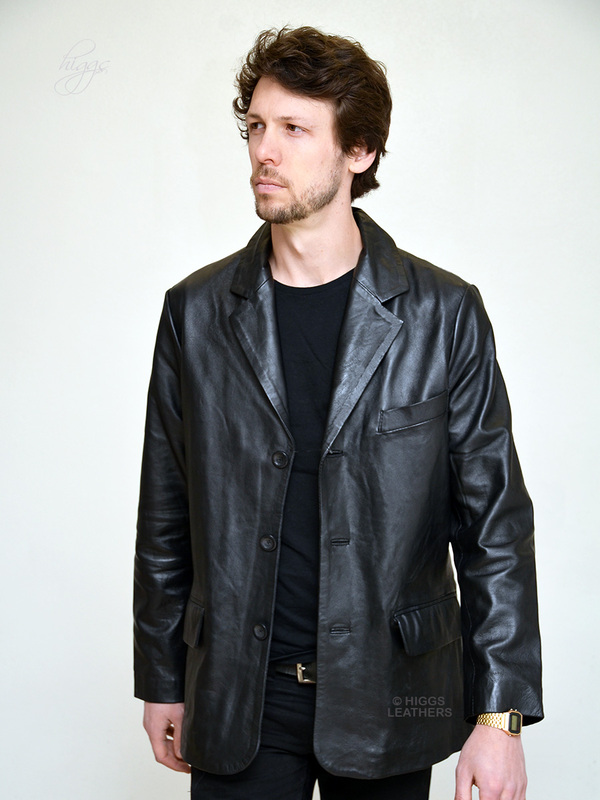 Men's Black Leather retro suit style jackets made from extra soft Lamb Nappa skins. Rever collar, tailored body and sleeves. Two outer pockets with flaps that can be tucked in to give a plainer look, plus outer breast pocket. Two full wallet size inner pockets (one with a zip) and a mobile phone pocket all edged with leather. A really versatile classic style men's Leather jacket, ideal for smart or casual wear. Please don't be put off by the low price, the quality of these superb jackets easily compares to others selling well over £200! Jacket length approx. 32" (80.5cm).